Time is gone in a rush since our last Release Candidate and we’re approaching very quickly the final release, but as you know we’re still fixing bugs and sorting out some issues that came up. 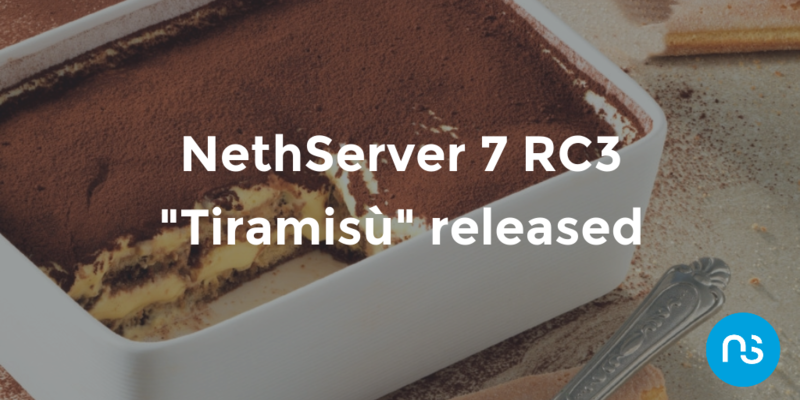 Now, after a few weeks of hard work, we’re finally ready for NethServer 7 RC3 “Tiramisù” and it’s time to get it off the ground. We have changed the behavior of the Transparent HTTPS proxy dropping the MITM (Man In The Middle) feature that inspects all the encrypted traffic, substituting it with a new implementation that sniffs only the beginning of the connection to discover the destination website (for filtering purposes). We can do this now because CentOS 7.3 introduced squid 3.5 which has a new function to intercept HTTPS connections, called peek and splice. Basically, it means that we peek at the beginning of the connection to discover the destination website (and block it if desired) and then let the traffic flow unaltered from the client PC to the secure website. The web UI hasn’t been modified (only the certificate download button has been removed) because the behavior has changed under the hood. Tiramisu (from Italian, spelled tiramisù [tiramiˈsu], meaning “pick me up”, “cheer me up” or “lift me up”) is a popular coffee-flavoured Italian custard dessert. It is made of ladyfingers dipped in coffee, layered with a whipped mixture of eggs, sugar, and mascarpone cheese, flavoured with cocoa. The recipe has been adapted into many varieties of cakes and other desserts. Its origins are often disputed among Italian regions such as Veneto, Friuli Venezia Giulia, Piedmont, and others. Being a dessert would be indicative of the end of the development cycle. If you find a bug please report it opening a new topic in our community and tagging it with v7-rc3 label – every bug you uncover is a chance to improve the experience for thousands of NethServer users worldwide, also our amazing quality team will be called upon to give its support on that! Together, we can make NethServer rock-solid. We have a culture of coordinating new features and pushing fixes upstream as much as possible, and your feedback will help improve not only NethServer but Linux and free software as a whole.